National POW/MIA Recognition Day is Friday, 21 September (designated as the 3rd Friday in September). This is a national day of prayer and remembrance that we still have thousands of missing warriors who have never returned home. Of the 2,489 listed originally as missing in Vietnam, over 800 have had their remains returned and efforts continue for a full accounting. Gold Star Mother’s Day is Sunday, 30 September (always the last Sunday in September). Designated to honor all mothers (and families) who have lost a son or daughter in combat. National Wreaths Across America Remembrance takes place Saturday, 8 December (2nd Saturday in December). An annual wreath laying at all veterans cemeteries that needs support and donations. Please participate and support each of these important days. Take a moment to honor those who have served and those who have been lost in service to the Nation. Author Al Nahas recounts the story of a unique memorial in Ocean Springs, Mississippi. 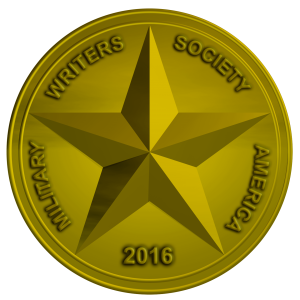 It brings true meaning to the book title, We Were Soldiers Once … and Young. Every memorial in Warriors Remembered is unique; this one really hits home. I will be at the American Legion Post 472 Spring Festival this Saturday from 11 to 4 with a booth for Warriors Remembered. Live bands and lots of food. Please come visit at 7599 Ave C off I-45 at Wayside. Hope for good weather. 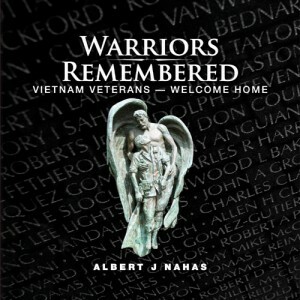 Warriors Remembered is now on the shelves of the Angel Fire Gift Shop near Taos, New Mexico. As one of the three memorials that were the impetus for my beginning the Warriors Remembered journey, I am very proud to have partnered with the David Westphall Veterans Foundation to carry the completed book. The Olympia, Washington Vietnam veterans memorial story extracted from Warriors Remembered is now available on line in the Nov/Dec 2010 Veteran. You can find it on page 34 of The Veteran at http://vva.org/veteran.html by clicking on page 34 of the current issue. 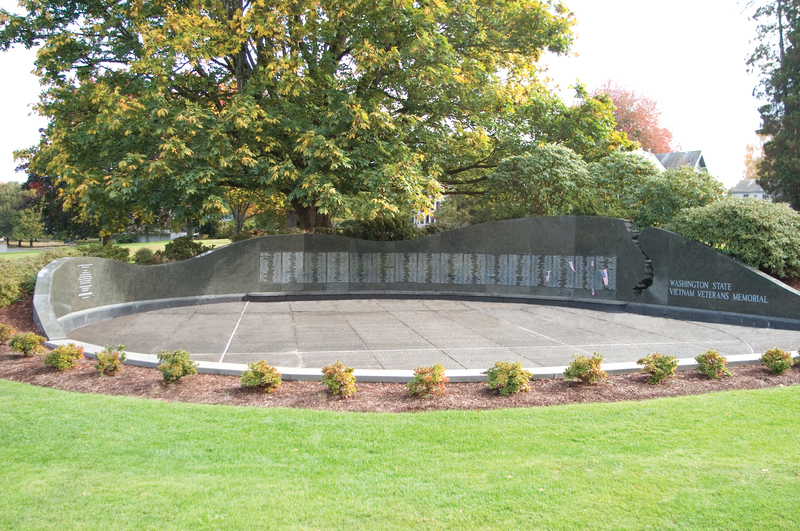 The second Washington State Vietnam Veterans Memorial may not have happened had it not been for the emotions engendered by the first. On Veterans Day 1982, also dedication day for The Wall in Washington, D.C., a scroll containing the names of the state’s killed and missing during the Vietnam War was sealed in a granite memorial at one of the most prominent locations on the Capitol grounds. Though pleased with the recognition, many Vietnam veterans felt pangs of regret for this “second burial” of their fallen comrades and committed to “bring their names into the light”. Soon after, VVA Chapter 130 was founded, adopting that commitment as its most critical mission. The idea remained a dream until the mid-1980s when a group from that chapter, led by the founder Rick Covert, gained permission and support from Secretary of State Ralph Munro to build a second memorial using private funds. Soon after, a plywood moving wall built by Tumwater High School students listing Washington’s casualties began a tour of the state raising funds from almost 1,500 donors. The second memorial was to be cut into the slope of a small knoll on the Capitol grounds beneath a large aging maple tree. The architectural firm EDAW of Seattle sent Kris Snyder to translate the veterans’ ideas into a plan. Though not a veteran, Snyder gained complete support when his design exceeded all the veterans’ expectations. A 45-foot, green granite, semicircular rolling wall, broken near its end by a cut in the shape of North and South Vietnam, represents the circle of life disrupted by war. The green waving wall symbolizes the mountains of this Evergreen State, but also the country’s rising troop commitment to the war during the terms of three Presidents – Kennedy, Johnson and Nixon. The wall drops off sharply after the silhouette cut, depicting the rapid withdrawal of U.S. forces following the 1973 Paris Peace Accord. Next to the silhouette, a nearly white blemish in the granite seems to portray the absence of American warriors, leading to the fall of Saigon. With the intent that the first casualty should be closest to the entrance, the names of Washington’s 1,116 lost and missing are listed from right to left in counter flow to the represented timeline, coincidently emphasizing the contradictions of the war. Unique to this memorial, a small hole next to each name is designed to accept flags or flowers of remembrance and is placed at a height accessible to children and those in wheelchairs. On the tenth anniversary of the memorial, an inscription was added to the wall honoring all who served and those who, on their return, were most affected by the war. On POW/MIA Recognition Day, September 16, 1988, the original Vietnam Veterans Memorial was rededicated as a memorial for those missing in all wars and those prisoners who have never been accounted for. A remembrance ceremony is held at the two memorials each Veterans Day.